I woke up congested again, awesome. Maybe I’m allergic to something on the porch. It was early and I thought about getting going but then it started raining so I decided to wait for other people to wake up. The rain continued off and on for a few hours so no one was in a hurry to leave. Also no one wanted to go back up the very steep hill we’d come down last night to get back to the trail. I finally got up there and made good time into Harpers Ferry. The trail goes all the way into town but I don’t want to repeat any more mileage than necessary when we have to go back to the VA/WV border tomorrow so we hitched in from the first road after that. Not counting the .6 mile after the border (will count that tomorrow), it was a 10.1 mile day. 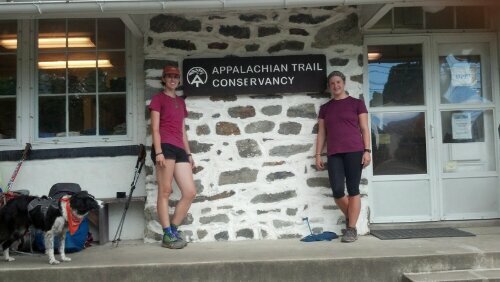 We got to the Appalachian Trail Conservancy office and got our thru hiker pictures taken. I’m number 868 to go through this year. That’s a lot of hikers making it this far north. I also picked up a couple of packages, including a sleeping pad I’m gear testing and new shoes! My shoes have been shot for a couple of weeks so I could feel every rock I was stepping on like I was barefoot, and it has been rocky. The tread was all worn off too. I’ve worn the same pair since before starting on Springer though so they had a pretty good run. I got the same exact pair of Montrail Masochists again since I like them so much. Greg met us at the ATC after work and we went out looking for dinner, only to realize a lot of restaurants in Harpers Ferry are closed on Mondays. We went to Charles Town instead and Stretch’s family met us there to grab our packs and provide us with daypacks for slacking tomorrow. They are going to leave a car with our stuff in it at the MD/PA border for us tomorrow night so we can take as long as we need hiking and still have a ride. 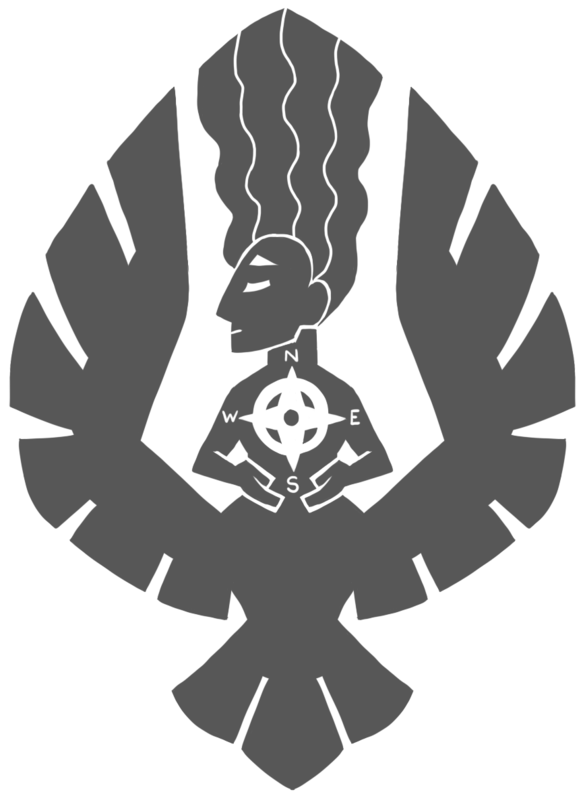 We are staying at Greg’s house tonight so as to get dropped off early in the morning to get the four state challenge started.